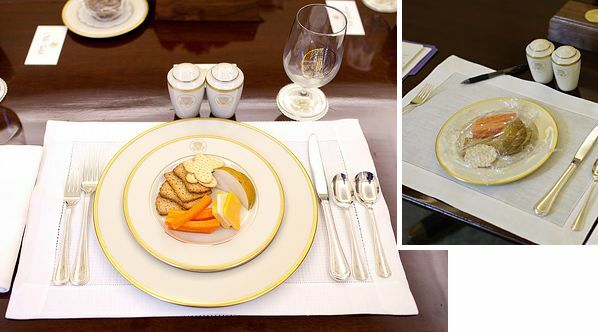 Here’s at least one reason why President Obama stays trim. He watches his diet. He could have had anything he wants, but chooses just cheese, carrot, fruit and a few crackers for lunch/brunch on more than one occasion, snapped by White House photographers (who seem to be everywhere except the bathroom and the bedroom).